The new Italian Macchi C.202 Folgore fighter on a taxiway. 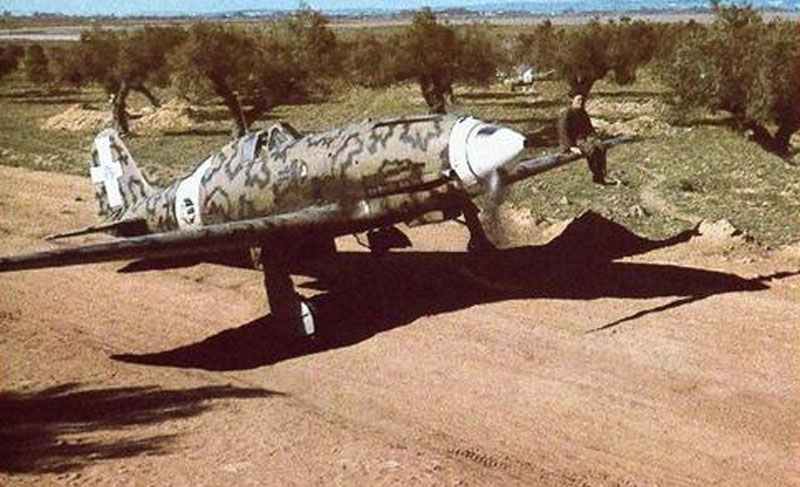 First flight of Macchi-Castoldi C.202 Folgore powered by imported Daimler-Benz engine – designed to replace obsolete fighters of Italian Regia Aeronautica (enters service in Libya, November 1941). Atlantic: British armed merchant cruiser Transylvania (16,900 t) sunk by U-boat U-56 north of Ireland. Germany: Baldur von Schirach, leader of Hitler Youth since 1933, appointed Gauleiter of Vienna. Artur Axmann becomes Hitler Youth leader.